We’re committed to helping you. Tri-State Equipment Rebuilding specializes in reconditioning and rebuilding Mobil Street Sweepers and all types of snow equipment (new & used). 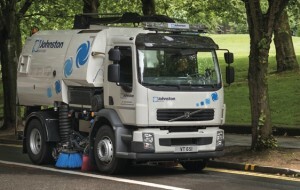 We also supply replacement brooms/brushes for all types of road sweepers. Our facility in Oxford, CT, we will take your current Mobil Sweeper down to the frame and completely refurbish it, replacing or rebuilding components as needed. We also have completely refurbished/rebuilt machines to meet your specifications available for sale. 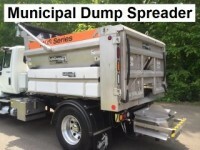 In addition to being regional dealers for SK Sweepers, Inc., we have over 10,000 sq.ft. of used and new parts in stock for Mobil/Athey and Broom Bear sweepers. We are also distributors for a wide range of manufacturers of new and replacement parts for both power sweeping and snow management equipment. Our rates are competitive, with no hidden fees. Our employees are friendly and will be there to help you every step of the way. Let us put our experience to work for you. Click on photo above to view the video of the Johnston ES351 Mechanical Sweeper.